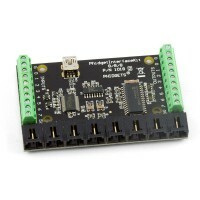 Description: The 4-Directional Tilt Sensor uses an optical system to provide positional feedbac.. Description: With this triple-axis accelerometer/magnetometer compass module you know your dire.. Description: In complex mechanical systems, it is often very difficult to accurately measu.. Description: This sturdy optical quadrature encoder can be attached to the 8mm rear shaft of a .. Description: These set can be used as a pair or stand alone. E.g. to detect an object or move.. 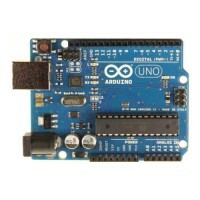 Description: This sensor can detect the presence of objects at a distance of 0 to 10cm regardle.. 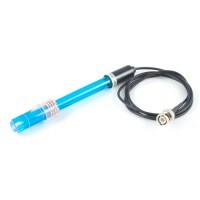 Description: The 3525 uses the most reliable and accurate style of photoelectric sensing which .. Description: The magnetic contact switch (3560) is nice and small and is designed for flush or .. Description: Looking for a nice PIR (passive infrared) motion sensor which doesn't give many .. Description: This is a small, economical, ball bearing construction, rotary encoder without ind..